Vancouver And British Columbia Casinos: 8 casinos covered among them 3 of the countries most recognizable household names: Hastings, Edgewater and Hard Rock. Toronto And Ontario Casinos: 4 casinos covered, among them the world famous Niagara casino, which is supposedly the most “touristic” casino in Canada. Montreal And Quebec Casinos: 3 casinos covered, among them Casino de Montreal – North America’s largest casino. Poker, and particularly Texas Holdem, peaked in popularity around the same time as it did in the USA. The trend started with Chris Moneymaker winning the 2003 WSOP Main Event, and it was particularly geared towards online gambling which exploded. With the 2006 UIEGA law making online gambling illegal in the States and the Pokerstars/Full Tilt domain seized in 2011, more and more full-time gamblers have moved to Canada, knowing it is quite friendly from the legal perspective. 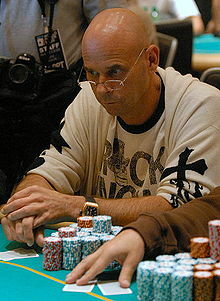 Canada has launched a number of well know poker players as you can see here. Some of the world’s most famous researches about gambling addictions have been conducted in Canada. A paper released by ProblemGambling.ca reveals that more than 3% of all Canadians have a serious gambling addiction, while more than 2% of all adulecents in the ages of 15 to 24 moderately gamble. Saskatchewan and Manitoba are the most gambling-oriented provinces with higher percentage of gambling adults and higher percentage of addicts. It is important to gamble responsibley and you can learn how to do that using our guide.